Mijune Pak says she’s always had an emotional connection with food. “Besides being naturally interested in it, it was a way to connect to people, place and culture. I love learning, eating and traveling ... who doesn't? I just decided to make it my life.” Born and raised in British Columbia, Mijune studied Communication at Simon Fraser University in Vancouver, then spent six months abroad in The Netherlands in Utrecht. She joined Paramount Pictures as a marketing representative before founding her award-winning food and travel website, Follow Me Foodie, in 2009. The blog, detailing her culinary adventures locally and abroad, is “fit for foodies, locals and tourists.” Her posts range from recommendations and restaurant experiences to events, culinary competitions, tours and recipes. Recognized as one of the top food blogs and restaurant guides in Canada, her site was named "Must Follow 2013" at The Social Media Awards, which honor the best work, businesses and brands in the media business. When she isn’t blogging, Mijune writes a weekly food column, “Follow Me Foodie,” for WE Vancouver. She also has been published in Zagat, OpenRoad Driver, BC Living, the Vancouver Sun and NOW newspaper. 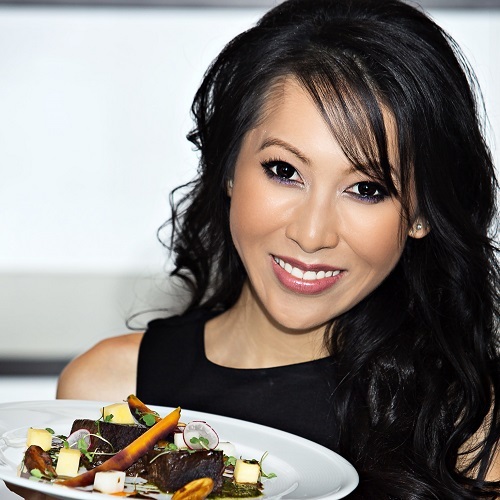 She has appeared on the Food Network, Breakfast Television, CBC TV’s “Our Vancouver” and more. An accomplished public speaker, Mijune’s topics reach far beyond food and travel to personal branding, blogging, journalistic integrity, social media and more. Mijune also is the youngest and first food blogger to be invited to join the British Columbia Chef's Association's Board of Directors. The organization works with local suppliers and sponsors to enhance the culinary education of young chefs and send them to culinary competitions around the world. While she has since stepped down from the board because of her busy work schedule, Mijune says she doesn’t want to stop learning and experiencing. She says she is “dabbling” in online videos and TV, and is awaiting publication of her first book, featuring street food in Vancouver. When she isn’t busy eating, writing or talking about food, you may glimpse her at food events, judging culinary competitions or being interviewed on the radio on News 1130AM. Contact Mijune at mpak@followmefoodie.com or tweet her at @FollowMeFoodie (same on Instagram). Subscribe to Mijune's YouTube channel to experience her passion for food, travel & photography. 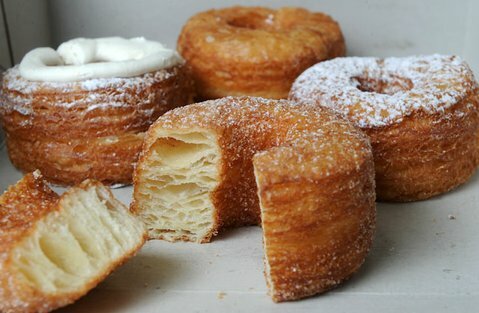 Want to find the essential eats in Vancouver on the go? Download our app to discover the best places to eat in over 275 cities.